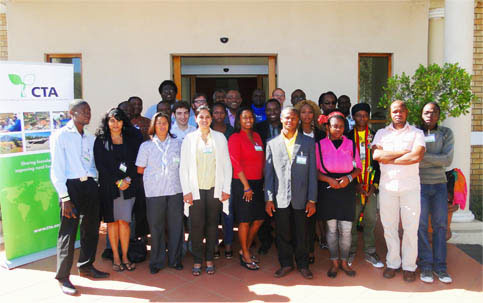 On the occasion of the 2012 Conference of the African Chapter of the International Association of Agricultural Information Specialists (IAALD) the ARDYIS project organized a series of activities, which took place from 20 to 23 May in Johannesburg, South Africa. In this page you can find the resources resulting from those events, including reports and photos. On the last day of the IAALD conference, the second meeting of the ARDYIS Advisory Committee has also taken place. The meeting, celebrating the second anniversary of the ARDYIS project, was held to review the past activities of the project and discussing the perspectives for the future.